Amidst War, U.S. Guardsman Forges Unexpected Bond Spc. Justin Cliburn was in his 20s when he trained Iraqi police in Baghdad. During his deployment, he made friends with a teenager that he says "made every day something I looked forward to." But even their friendship could not escape a violent reality. Ali, an Iraqi teenager, wears Spc. 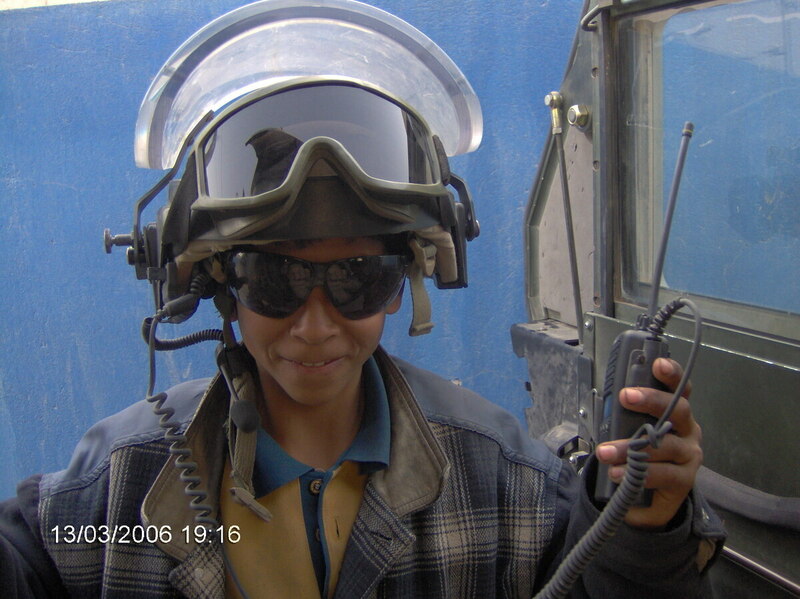 Justin Cliburn's helmet and radio equipment in Baghdad. Ali and Cliburn became unlikely friends while Cliburn trained Iraqi police in 2005 and 2006. 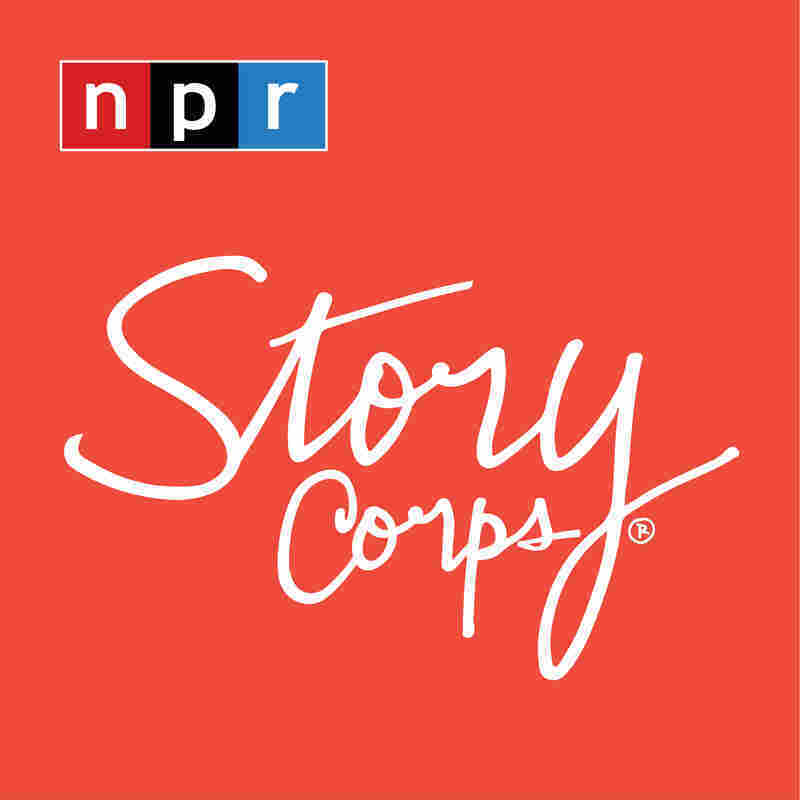 The Military Voices Initiative, a StoryCorps' project, collects stories from members of the U.S. armed forces, with a special focus on those who served in post-Sept. 11, 2001, conflicts. Every month, highlights from that initiative air on Weekend Edition Saturday. Spc. Justin Cliburn, 30, was deployed to Iraq in 2005 with the Oklahoma Army National Guard. His job was to train the Iraqi police in Baghdad. During his time there, he got to know a boy in his early teens named Ali, who walked through their compound one day. "He was very shy. And the second or third time that I met him, he brought his best friend, Ahmed," Cliburn tells his wife, Deanne. "Ahmed was much more outgoing, and so Ali really opened up. And, once I met these children, it made every day something I looked forward to." They would play "rock, paper, scissors" and soccer. "We were about as close as people that don't speak the same language can be," he says. "I had never been really good with children, and this was the first time I felt like I loved someone who wasn't my family member." Cliburn with Ahmed, Ali's best friend, in Baghdad in 2006. Ahmed and his mother died from a suicide bomb blast. But then one day something was wrong. Ali kept saying, "Ahmed, Ahmed, boom." They found out Ahmed and his mother were at a gas station when a suicide bomber attacked. Though his mother died instantly, Ahmed was at a hospital. Cliburn and the other soldiers pooled money for Ali to take to Ahmed's father, "but later, I saw Ali walking up very slow and he sat down on the curb next to my Humvee," Cliburn says. "He dug a hole in the ground with his fingers. He picked up a rock and put it in the hole and then he put the dirt back over it. And he just pointed to the ground and said, 'Ahmed.' And I knew that Ahmed was dead." Sitting on the curb — "me in desert camouflage, carrying an M-4 rifle, and him just a North Baghdad kid" — they cried together. "I don't know what came of [Ali]. That's the nature of war I suppose," Cliburn says. "But whenever I see any footage from Baghdad, I'm always kind of looking around, wondering if he's in the frame."